Coach Lamm enters his first season as Head Coach at HHS. He comes to Huntsville from Decatur High School where he has their head coach for four seasons. 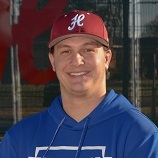 Prior to coaching at Decatur, Coach Lamm was the pitching coach at Sparkman High School, advancing to the 7A finals in 2014. In Coach Lamm’s second season (2016) he led the Decatur Red Raiders to a school record for wins in a season, 35 (35-11). Coach Lamm attended Loretto High School in Loretto, TN, where his father Gary has been the head baseball coach the past 24 years and was recognized for All-District and All-Region Honors as a pitcher/shortstop. He then attended Columbia State Community College where he played two full seasons before going to Martin Methodist where he earned First Team All-Conference his senior year and received his BS in Education. Coach Lamm is married to the former Kristen Wengert of Huntsville, AL. They have a son, Nolan (5), a daughter, Audrey (3), and are expecting their third child in October 2018. 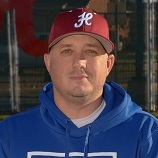 Todd Gentle graduated from Lee High School in 1998 earning a baseball scholarship to Snead State Community College. 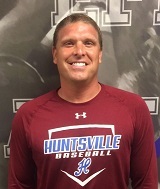 After spending four years as an assistant coach at Lee High School, Todd has been an assistant coach at Huntsville High School for eleven years. Along with coaching, Todd is an engineer at Huntsville Utilities. Todd and his wife, Allison, have two children, Reed is 11 and Hayes is 9. Trey Moody graduated from Huntsville High School in 2001, where he played baseball, basketball, and football for the Panthers. After graduation from Huntsville High, Trey earned a baseball scholarship to the University of Alabama. He then transferred to Samford University, where he finished his baseball career, and education. Trey received a degree in History from Samford University in 2006. Trey moved back to Huntsville in 2012, and now resides in the Blossomwood area with his wife Ashley, and their four children, Tyce 12, Skye Marie 9, Jake 5, and Tess 20 months. 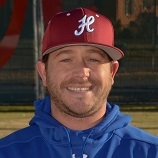 Andrew Dennis is in his first season as a volunteer assistant coach at HHS. He graduated from HHS in 2011 asd was a part of the 2011 State Championship team. He signed a scholarship to Wallace State Community College and played there for two seasons. He signed a scholarship with the University of Alabama Birmingham but was drafted by in the 37th round by the Pittsbugh Pirates. He now lives with his wife Whitney in the Hampton Cove area.